Microsoft today updated its Xbox Video service and Xbox SmartGlass app. At the same time, the company detailed what’s coming in the next Xbox One update, including bringing TV elements to more global markets and a new option for using OneGuide on multiple devices. View your Activity Feed in a way that matches the view on your console. Following the Xbox One March update, Microsoft is already readying the next one. While the company wouldn’t say when it’s coming, it did say that it is making some of the new features available to select Xbox Live members (by invite only) in the US, Europe, and Canada. An enhanced TV watching experience (already available in the US), which sees TV listings added to OneGuide, alongside Favorites and App Channels. This will work for people in Europe and Canada who have their TV connected to Xbox One via HDMI-in. 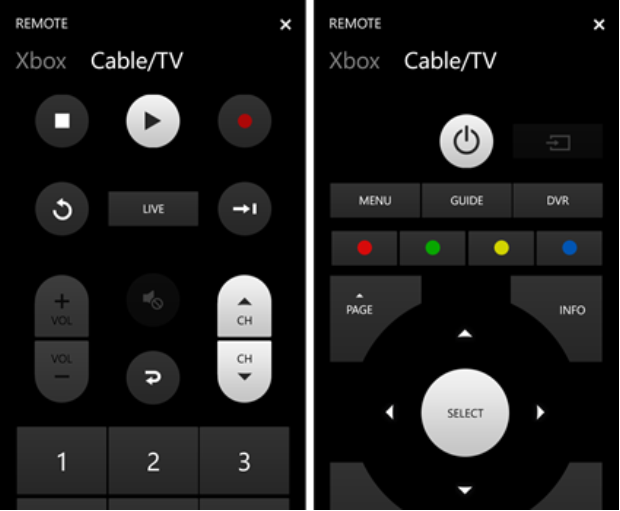 More control over Xbox One, your TV, and set-top box, including setting new recordings and watching recorded content from your DVR, all from a tablet or smartphone. Xbox SmartGlass also adds a new feature to show the most recently-watched channels. New Kinect voice commands in Europe and Canada (already available in the US) which let you control your set-top box and other AV equipment. While this doesn’t mean the next Xbox One update will be all about the TV experience, they will certainly play a big role. We will let you know when Microsoft pushes out these features to all. Read next: Standing out in a sea of blue: Which color should you pick for your icon?